New York: After the arrest of WikiLeaks founder Julian Assange in London, his lawyer was quick to characterise it as an assault against the rights of journalists all over the world who seek to uncover secrets. But was it quite that clear? Does WikiLeaks do journalism, or is it something else? The answer wasn’t evident when the organisation burst into public consciousness at the top of this decade with the release of government documents about the wars in Iraq and Afghanistan. It seems even less so now. Launched in 2006 as the vision of Australian computer hacker Assange, WikiLeaks produced raw data, not stories, things like Sarah Palin’s personal emails or membership rolls of neo-Nazi organisations. The thousands of memos, cables and other documents about US war efforts revealed when Assange allegedly conspired with Chelsea Manning to break into a Pentagon computer took WikiLeaks to another level. Some viewed Assange as a hero, others as a traitor. Either way, it was a heady time. WikiLeaks was considered a new type of news organisation, fuelled by the power of the Internet and democratisation of information. The organisation’s methods can be and sometimes are seen as a threat to the journalism’s traditional gatekeepers of power. But journalism has encompassed many traditions over the decades and centuries. WikiLeaks has been an influence in two positive trends for journalism over the past decade, says Lisa Lynch, a journalism professor at Drew University who has written about the organisation. It emphasised the importance of data-driven journalism, an increasingly valuable tool. Since WikiLeaks was often willing to work with traditional outlets in how it released data, it encouraged news organisations to cooperate more in chasing stories. The 2016 ‘Panama Papers’ investigation that revealed the offshore financial havens of political leaders showed what can happen when journalists team up. Despite utopian ideals, though, real life is more complicated. Information isn’t always merely information, government files can reveal wartime informants and put people’s lives in danger. And information can be weaponised through decisions about what to reveal and what not to reveal. For example: Many people saw Assange’s decision to publish the private emails of Hillary Clinton’s campaign chairman as a sign of cosiness with Russia and a contributing factor in Donald Trump’s election as president. Yet some of history’s most prominent journalists have been advocates as well, and have expressed clear points of view. Upton Sinclair, a progressive “muckraker” in the early 20th century, made no secret of the fact that his exposé of the meatpacking industry, ‘The Jungle,’ was an attempt at jump-starting reform. “I aimed at the public’s heart, and by accident I hit it in the stomach,” he wrote later. Today, news outlets across the political spectrum, from The National Review to Mother Jones, from Fox News to MSNBC, are considered to be journalism, albeit delivered from a distinct vantage point. Add into the mix the rise of blogging and social media, which permit anyone with an internet connection to use the term “journalist” and be immediately and globally amplified and the result is ambiguity about who is a journalist and who isn’t. 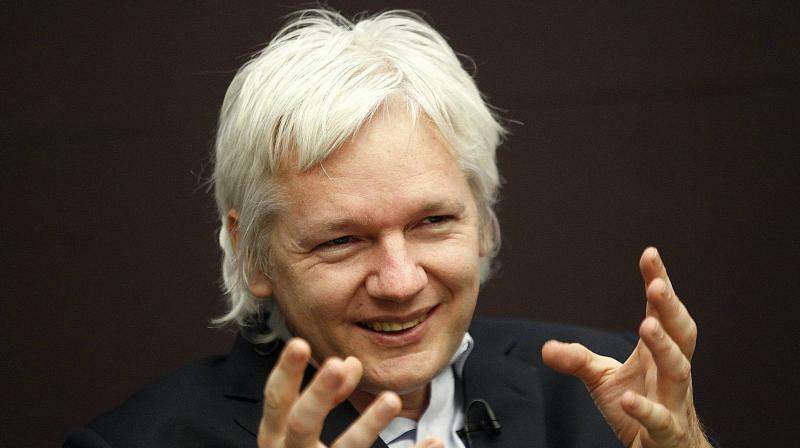 Boardman considers the US government’s case against Assange, as it is now outlined, as narrowly based upon his actions with Manning and thus not threatening to journalists. Others consider this a narrow reading of the case, one fuelled perhaps, by a discomfort with Assange’s methods and the idea of whether he should be considered a journalist at all.